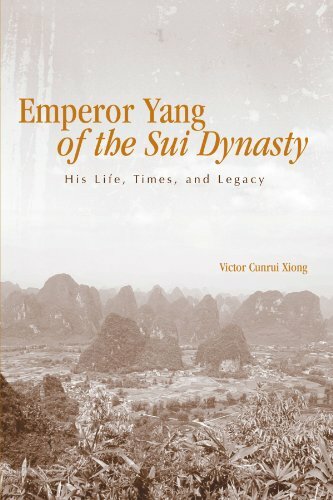 [PDF] Emperor Yang of the Sui Dynasty: His Life, Times, And Legacy (Suny Series in Chinese Philosophy Ans Culture) (SUNY Series in Chinese Philosophy and Culture (Paperback)) | Free eBooks Download - EBOOKEE! Description: Looking at the life and legacy of Emperor Yang (569-618) of the brief Sui dynasty in a new light, this book presents a compelling case for his importance to Chinese history. Author Victor Cunrui Xiong utilizes traditional scholarship and secondary literature from China, Japan, and the West to go beyond the common perception of Emperor Yang as merely a profligate tyrant. Xiong accepts neither the traditional verdict against Emperor Yang nor the apologist effort to revise it, and instead offers a reassessment of Emperor Yang by exploring the larger political, economic, military, religious, and diplomatic contexts of Sui society. This reconstruction of the life of Emperor Yang reveals an astute visionary with literary, administrative, and reformist accomplishments. While a series of strategic blunders resulting from the darker side of his personality led to the collapse of the socioeconomic order and to his own death, the Sui legacy that Emperor Yang left behind lived on to provide the foundation for the rise of the Tang dynasty, the pinnacle of medieval Chinese civilization. No comments for "[PDF] Emperor Yang of the Sui Dynasty: His Life, Times, And Legacy (Suny Series in Chinese Philosophy Ans Culture) (SUNY Series in Chinese Philosophy and Culture (Paperback))".